Home / BBG / Much of Voice of America content is third-party copyright-protected and cannot be easily re-used commercially in the U.S.
Much of Voice of America content is third-party copyright-protected and cannot be easily re-used commercially in the U.S. 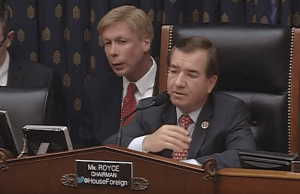 The big push by International Broadcasting Bureau (IBB) and VOA executives to change the Smith-Mundt Act of 1948 to allow them to distribute VOA programs to American radio and television stations was largely a sham. These programs cannot be easily used in the U.S. because the agency does not have the rights to domestic re-distribution of third-party material. Under the current law, the agency cannot spent tax money to acquire such rights for media outlets in the United States. The only thing that the change of the Smith-Mundt Act did was to give IBB and other officials additional powers they did not have before and to enrage American public against the government and U.S. international broadcasting. IBB executives undermined what was previously strong bipartisan backing of providing news and information to countries without free media without any major domestic partisan controversies. On top of everything else, according to an announcement posted online by Voice of America officials, they have given themselves the right to “authorize” Americans to use or rebroadcast news programs U.S. taxpayers already paid for and own or programs that they cannot use because they contain third-party content which VOA cannot authorize anyone to use. As to news that is produced solely by federal employees of the Voice of America and does not contain third-party content, these government bureaucrats do not realize that they have no legal authority or any other power to authorize use of something that already belongs to the American people, was paid for by them, and is and has always been in the public domain. Click on links below to see possible changes and updates on the VOA site. This website, all websites linked in the ‘Sites by Language’ tab at the top of this page, as well as all news, information, and features available on these websites (collectively, “VOA News and Information Websites”), are services provided by The Voice of America (“VOA”), an element of the Broadcasting Board of Governors (“BBG”). VOA programs and the VOA News and Information Websites are intended for audiences outside of the United States. The VOA News and Information Websites also function to make program materials available to U.S. requestors after their dissemination abroad. Domestic American broadcasters utilizing similar tradenames and call letters are not affiliated with BBG, VOA, or with VOA News and Information Websites. Personal Use: The content appearing on the VOA News and Information Websites is intended for your personal, noncommercial use only. You may download the downloadable content items appearing on the VOA News and Information Websites for your personal use only. Vendor Content: The VOA News and Information Websites may contain text, video, audio, images, graphics, and other copyrighted material furnished by the Associated Press, Reuters, AFP, ABC News, and other content providers (collectively, “Vendor Content”). The Vendor Content is licensed for use in VOA programming only. Vendor Content is copyright protected and other than as stated above, may not be copied, redistributed, sold, or published without the express permission of the above-mentioned vendors or other copyright owners. 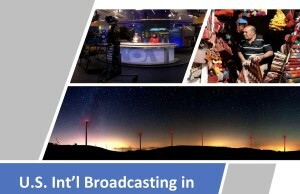 Images, graphics, or video programming on VOA News and Information Websites may include a visual mark indicating the inclusion of any Vendor Content. You should assume all audio and radio programming on VOA News and Information Websites includes Vendor Content unless VOA specifically informs you otherwise. You agree that you are solely responsible for your use of any content or program materials that you access through VOA News and Information Websites, including any copyrighted portion(s) of those materials. You further agree that you shall secure all necessary licenses from VOA AND FROM all persons or organizations that hold a copyright in any portion of program materials you access through VOA News and Information Websites before making any use of those program materials, except uses of program materials permitted by the Copyright Act of 1976, as amended. 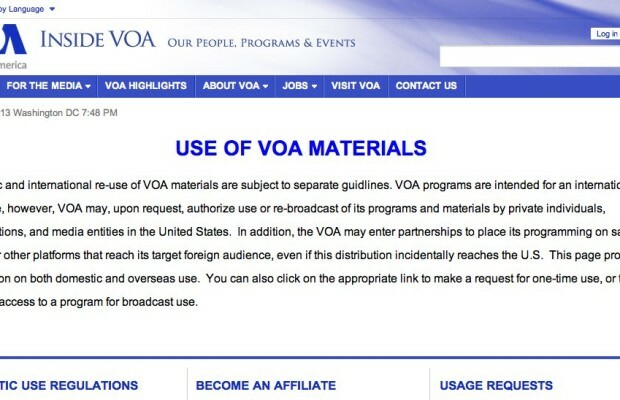 One-time requests for broadcast-quality copies of VOA program materials shall be directed to UsageRequest@voanews.com. Note that when video programs, articles or photographs are credited to a source other than Voice of America (such as the Associated Press, Reuters or AFP, and others), the credited source holds the rights to the material. Please contact that party directly. VOA may require a written statement that you have obtained all necessary rights and licenses before releasing broadcast-quality copies of VOA program materials. If you are a foreign media organization and would like information about VOA’s affiliate agreements, please visit http://Direct.VOANews.com. If you are a U.S. organization interested in an ongoing subscription to VOA programming, please visit http://Direct.VOANews.com. If you are a U.S. organization interested in partnering with VOA, please visit www.BBG.gov/PartnerWithUs. A statement that the information in the notification is accurate, and under penalty of perjury, that you, the complaining party, are authorized to act on behalf of the owner of an exclusive right that is allegedly infringed. “Voice of America”, “VOA”, the VOA design, and “voanews.com” are trademarks which may not be used without express permission. If you wish to create a link to the voanews.com website on your own page, please send your request to voanews@voanews.com. The internet domain (for example, “xcompany.com” if you use a private Internet access account, or “yourschool.edu” if you connect from a university’s domain) and IP address ( an IP address is a number that is automatically assigned to your computer whenever you are surfing the Web) from which you access our website. If you linked to this website from another website, the address of that other website. If you choose to provide us with personal information by sending an e-mail to us, or by filling out a form with your personal information and submitting it through our website, we use that information to respond to your message and to help us get the information you have requested. We do not collect personal information for any other purposes. Moreover, we do not create individual profiles with the information you provide or give this information to any private organizations. Nor do we collect information for commercial marketing. We would share your e-mail with another federal government agency only if your inquiry related to that agency or if we were required to do so by law. In addition, we would release documents, including e-mails, if required to do so by a congressional or judicial subpoena. VOA News and Information Websites may use session cookies for technical purposes such as to enable better navigation through the site, or to allow you to customize your preferences for interacting with the site. A few VOA News and Information Websites may also make use of persistent cookies to remember you between visits so, for example, you can save your customized preference settings for future visits. Each VOA News and Information Website using persistent cookies identifies itself as doing so. At no time is your private information, whether stored in persistent cookies or elsewhere, shared with third parties who have no right to that information. If you do not wish to have session or persistent cookies stored on your machine, you can turn them off in your browser. However, this may affect the functioning of some VOA News and Information Websites. VOA News and Information Websites may allow users to post, upload, transmit, or otherwise submit comments, messages, photos, images, story ideas, or other content or materials (collectively “User-Submitted Materials). You acknowledge that User-Submitted Materials may be routed through our servers, the servers of one or more third parties on our behalf, and the Internet. You acknowledge that VOA News and Information Websites are for public and not private communications. You may only submit materials to VOA News and Information Websites for which you have the copyright or other necessary rights and permission to distribute electronically. You may not violate, plagiarize, or infringe on the rights of third parties, including copyright, patent, trademark, trade secret, privacy, personal, publicity, moral or proprietary rights. You agree and represent that you own or have all necessary rights and permissions to use, distribute, and authorize VOA to use and distribute any materials you submit. You retain any copyright or other ownership rights you possess in any User-Submitted Materials that you submit on or through VOA News and Information Websites. However, by submitting any User-Submitted Materials on or through VOA News and Information Websites, you hereby grant VOA a non-exclusive, perpetual, royalty-free, fully paid up, worldwide, transferable license to use, copy, sublicense, modify, transmit, publicly perform, display, create derivative works of, host, index, cache, tag, encode, and/or adapt your User-Submitted Materials in any and all media formats or channels, whether now known or hereafter devised. No obscenity, profanity, vulgarity, hate language, SHOUTING, or other bad behavior. No personal attacks. No inflammatory language or calls for violence. Simple text only, no html or other code. VOA may link to external sites that help us perform our mission or illustrate news reports. Links to external servers do not imply any official VOA endorsement of the opinions or ideas expressed therein, nor do such links guarantee the validity of the information provided. Links to commercial sites are in no way an endorsement of any vendor’s products or services. Links will be provided to external servers that are managed in a professional manner (i.e., it is fully operational, is available most of the time, does not serve inaccurate information or obscene graphics, etc.). This server will not link to external servers if such a link would appear to provide an official endorsement of fundraising efforts or lobbying for a political agenda. YOU EXPRESSLY AGREE THAT USE OF VOA NEWS AND INFORMATION WEBSITES IS AT YOUR SOLE RISK. VOA NEWS AND INFORMATION WEBSITES AND ANY CONTENT, MATERIALS, USER-SUBMITTED MATERIALS, OR FEATURES AVAILABLE ON OR THROUGH VOA NEWS AND INFORMATION WEBSITES ARE AVAILABLE ON AN “AS IS” AND “AS AVAILABLE” BASIS, WITHOUT ANY WARRANTIES OF ANY KIND, EITHER EXPRESS OR IMPLIED. VOA DOES NOT WARRANT THAT VOA NEWS AND INFORMATION WEBSITES WILL BE UNINTERRUPTED OR ERROR-FREE. VOA MAKES NO WARRANTIES AS TO THE RESULTS THAT MAY BE OBTAINED FROM USE OF VOA NEWS AND INFORMATION WEBSITES OR ANY INFORMATION AVAILABLE ON OR THROUGH VOA NEWS AND INFORMATION WEBSITES. IN PARTICULAR, NO HEALTH REPORTING, NOR ANY OTHER CONTENT, CONTAINED OR AVAILABLE ON VOA NEWS AND INFORMATION WEBSITES IS OR SHOULD BE CONSIDERED, OR USED AS A SUBSTITUTE FOR MEDICAL ADVICE, DIAGNOSIS, OR TREATMENT BY A MEDICAL PROFESSIONAL. NEITHER VOA, BBG, NOR EITHER OF THEIR RESPECTIVE EMPLOYEES, AGENTS, THIRD PARTY CONTENT PROVIDERS OR LICENSORS ARE LIABLE FOR THE DEFAMATORY, OFFENSIVE, OR ILLEGAL CONDUCT OF OTHER USERS OR THIRD-PARTIES WHO ACCESS VOA NEWS AND INFORMATION WEBSITES. THE RISK OF INJURY FROM THE FOREGOING RESTS ENTIRELY WITH YOU. You agree to defend, indemnify, and hold harmless VOA, BBG, and their respective governors, officers, employees, and agents from and against all claims and expenses, including attorneys’ fees, arising out of your use of VOA News and Information Websites. VOA News and Information Websites handle errors in the following way: If the error is a simple typo that doesn’t change facts or understanding of the story, we consider it a minor change and simply correct it without further mention. If the error is substantive or one of fact, we change it, add an asterisk *, then a note at the bottom saying when it was corrected and what was wrong originally. On a breaking news story, we may overwrite the text of an article several times as the story develops. Due to the urgency of the news and time constraints, we will not mention the exact changes in each version – we expect understanding that it is a story that is still developing. How can I get access to VOA programming for personal use?VOA makes program materials available within the U.S. through the same news and information websites that VOA uses to communicate with foreign audiences. To access currently available program materials, please visit www.voanews.com and click on the Usage Request tab at the bottom of the page. Are all VOA programs available on VOANews.com? Please note that www.voanews.com links to VOA’s many individual language service websites. Click the ‘Sites by Language’ tab at the top of the page to see the full range of languages available. Many programs and news stories are only available on the site for the language service which broadcast those materials abroad. What sort of programming is available on VOANews.com? 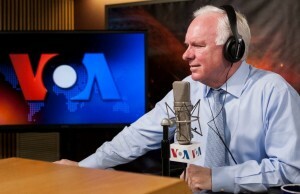 In addition to news and information, full episodes of all VOA radio and television programs broadcast on or after July 2nd, 2013 are available at www.voanews.com. How can the media or organizations get access to broadcast-quality copies of VOA programming for a one-time use? UsageRequest@voanews.com for broadcast-quality copies of Voice of America program materials. Does VOA make its programming available to the media or other organization on an ongoing subscription basis? Yes. VOA and the IBB Office of Program Placement evaluates ongoing subscription requests based on the broadcasting principles and standards found in The U.S. International Broadcasting Act. For more information on the criteria used to determine whether VOA fulfills an ongoing subscription request, see BBG’s policy linked here from the Broadcasting Administrative Manual. How can the media or other organizations get ongoing access to VOA programming for professional use? Media entities, or other organizations, may request ongoing subscriptions by filling out an application form found on the Direct System, the BBG’s professional distribution system. Expect a representative from BBG to contact you about your application. Will I be charged for accessing VOA programming through the Direct System? BBG may collect a fee for reimbursement of the reasonable costs incurred to fulfill a request for program materials, including ongoing subscriptions for the Media and one-time requests for broadcast-quality copies of BBG’s program materials. Any fees will be outlined in an agreement between the Media entity, or other organization, and BBG. I can’t find an older episode on VOA websites. What happened to it? From time to time, VOA may have to remove content from its website. For instance, VOA removes program materials from its news websites when required by licensing agreements with third-party copyright holders. Once materials have been removed from one of VOA’s websites, they are no longer available from VOA. When VOA takes materials off of its website, materials designated as permanent under the BBG’s records schedule will be transferred to the National Archives and Records Administration (NARA). Programs designated as temporary under the BBG’s records schedule will be destroyed once they are removed from VOA websites, and are no longer available. BBG’s records schedule is published in the Federal Register and is available at NARA’s website, through this link. See Title 36 Code of Federal Regulations, Subpart F for information on how to request BBG program materials that have been transferred to NARA. Where can I find details about VOA programs, times, frequencies, satellites? VOANews content is available in more than 40 languages. How can I get free news summary via e-mail? A: VOA offers free newsletters via email. What should I do if I have trouble reading your e-mail? How can I read VOANews on my mobile phone? Then select your desired language.